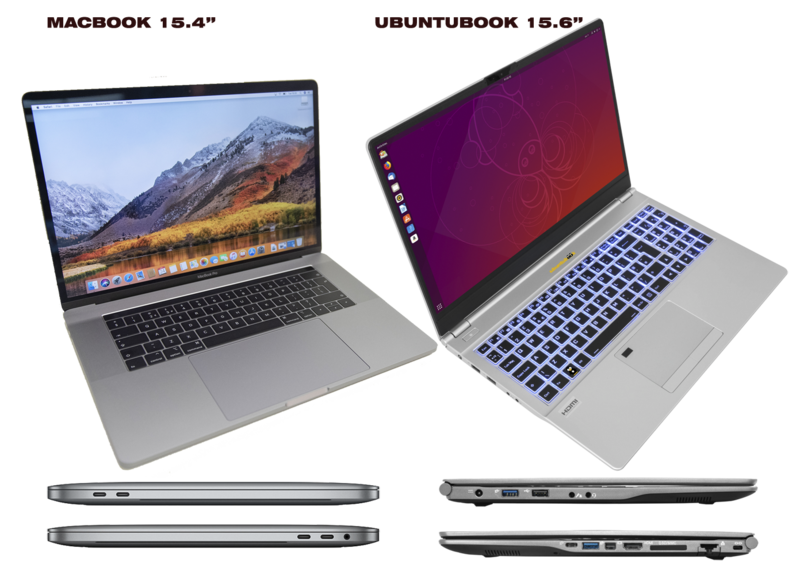 You are going to choose between a Macbook or Ubuntubook? Microsoft stops supporting Windows 7.Perfect moment to switch to free software computers with linux-mint. Ultimate privacy: kodachi notebooks + own vps & openvpn. Four Vps configurations with a choice of 4 locations. A complete privacy solution for ordinary people, organizations and companies. Open source privacy notebooks with Tor+Tails for daily use by human beings. If you buy a car, you want a test-drive. So test-drive our software now! Experience it real and in real-time: Ubuntushop's online test page for linux computer operating systems. Although Big Brother and others in the world may wish to spy on you and steal your personal data - don't worry. With Ubuntu or Linux-mint - a safer system that respects your privacy - they will have nothing to see. Ubuntu and Linux-mint keeps you secure because most unsafe parts are blocked by default; the only way that the peepers and creepers can get a peek is if you invite them. We've got your back. Tails Anonymous Surfing Boot Option. To surf, mail and chat anonymously. A must for researchers, inventors, politicians, activists and journalists. Standard on every ubuntushop.eu computer. Is your government blocking sites and doing internet surveillance? Start a Tails Session on your ubuntu computer and use the Tor network. Fostering free expression worldwide, Powering digital resistance. New and easy live + reinstall option on all ubuntushop computers. State of the art notebooks with IPS screen and illuminated keyboard + usb-c.
Preloaded with open source. Let's enjoy computing. 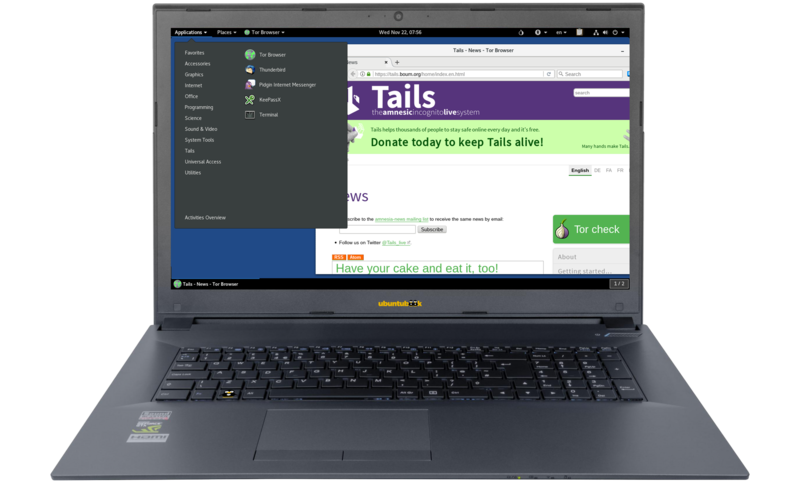 Tails Live Privacy boot option to surf completely anonymous like google, facebook or twitter. Ubuntu is the fastest growing computer operating system in the world with millions of users. Your quest for greater digital privacy and security ends here.Now with TAILS - The Amnesic Incognito Live System boot option on every opensource installation. 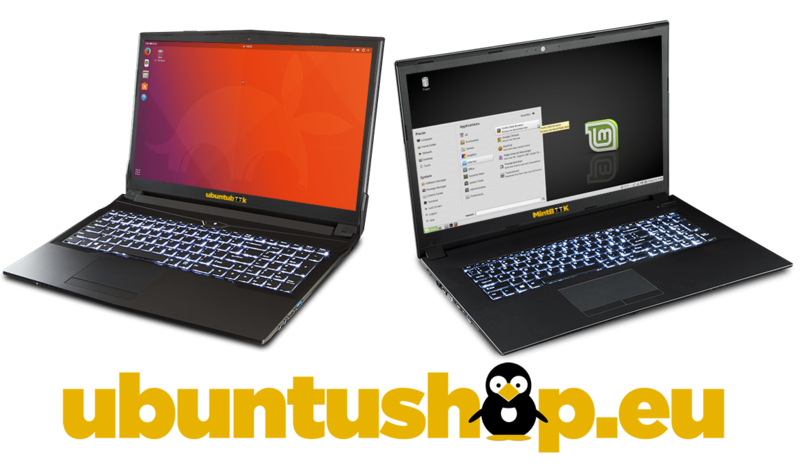 Here you can buy your first ubuntu or linux mint computer. The best protection against ransomware virus and encryption. Save as a company or private person hundreds of euros in ICT labor and antivirus + firewall software. High quality notebooks with the most modern opensource software to use for many years without viruses and respecting your privacy. No virus scanner or firewall required. The only computer for safely online banking. Excellent delivery in Europe with 2 years warranty. Now with easy re-install option. 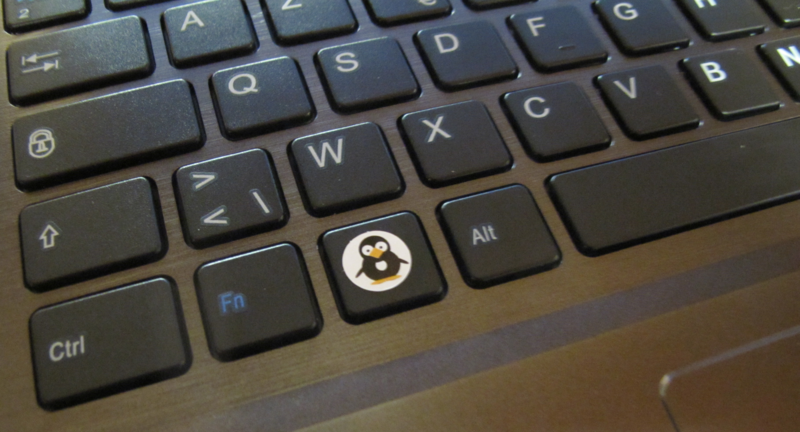 Worry-free computing with : free software and free hardware. Quality notebooks with European software. Assembled in the Netherlands and software installed in Belgium. Modular notebooks: possibility to add more ram memory and larger disks later on, or to replace parts (including keyboard). 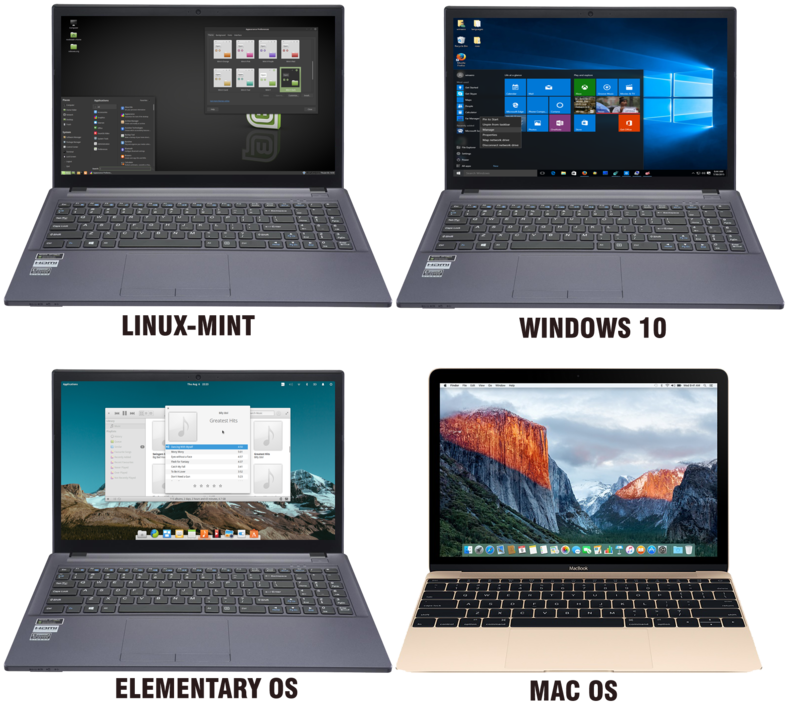 Enjoy these notebooks with stable and virus-free software.njoy these notebooks with stable and virus-free software. Is your notebook dear to you? Afraid that your notebook is stolen or forgotten somewhere? 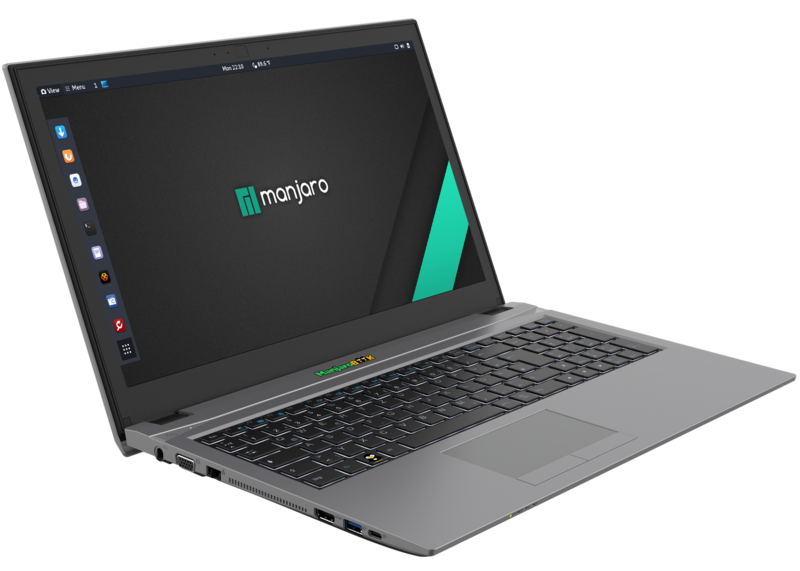 Our free software notebooks are "designed for privacy by default"
At first start no need to turn off privacy settings that are enabled by default, such as with Windows. Orders placed with a guest account:no details of the customer are stored in our webshop. When placing orders as a customer (where the customer is created), the customer data is stored in our webshop for future orders. These are completely removable upon simple request.